Your search is OVER! 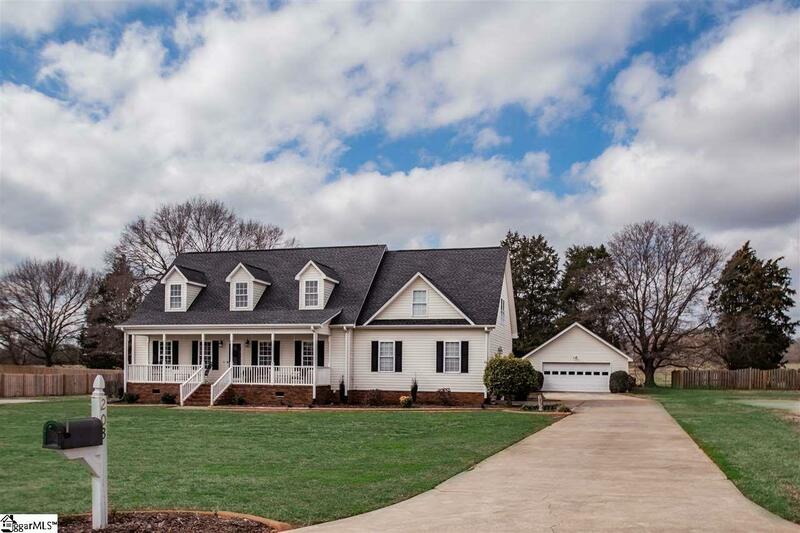 Welcome Home to the hidden gem of Fountain Inn, Legacy Farms! There is very little turnover in this neighborhood, so to be able to snag home, especially with a detached garage, is a GREAT opportunity! This home has been lovingly maintained by the original owners. Master Suite on Main with two additional LARGE bedrooms and a full bathroom upstairs PLUS an awesome unfinished bonus room/flex space above the garage perfect for a hobby room, playroom, storage, teen suite, or guest space. Easy to finish out! Enjoy tons of garage space with an attached two car garage with workshop/dropzone area plus a 30x25ft detached garage! The kitchen has granite, under-mount sink, and stainless steel appliances and was just freshly painted so you can move right in! The foyer is a great space to welcome your guests and also has a convenient half bath! The LARGE fenced backyard boasts a large covered deck and is the perfect place to sit and watch the sun go down every evening! You can&apos;t find a more peaceful and laid back neighborhood. HOA is only $125 a year and the large lot sizes in this neighborhood give you the elbow room you&apos;re looking for! You can see every star in the sky out here and yet you&apos;re still only minutes from 385, Fairview Road and the quaint yet booming downtown of Fountain Inn! Newer HVAC systems, maintained quarterly pest treatments and more! This one won&apos;t be available long!